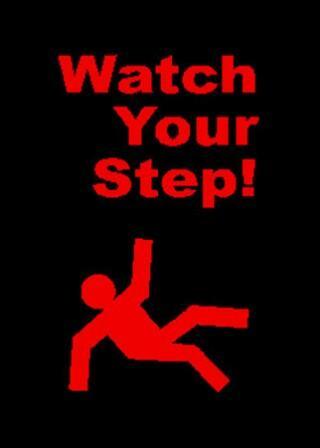 Watch Your Step safety message mats for factory floors and doorway entrances. 3x5 and 4x6 nylon floor mats made in the U.S.A. help to get your safety message across in a colorful way that helps keep your building safe and clean at the same time. These sturdy message mats are great for commercial and industrial applications. Safety message mats are the perfect addition to any safety program and go great with any of our OptiPrint® dry erase safety tracking boards. NT-194-SWS-305 3' x 5' Watch Your Step UPS 8 lbs. 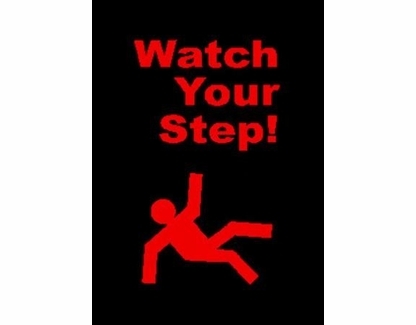 NT-194-SWS-406 4' x 6' Watch Your Step UPS 12 lbs. Color: Black Mat with Bright Red Print.